New Features & Happy Holidays! New features, holiday hours and a look ahead. This year has been exceptionally good for all of us at RealtyNinja. 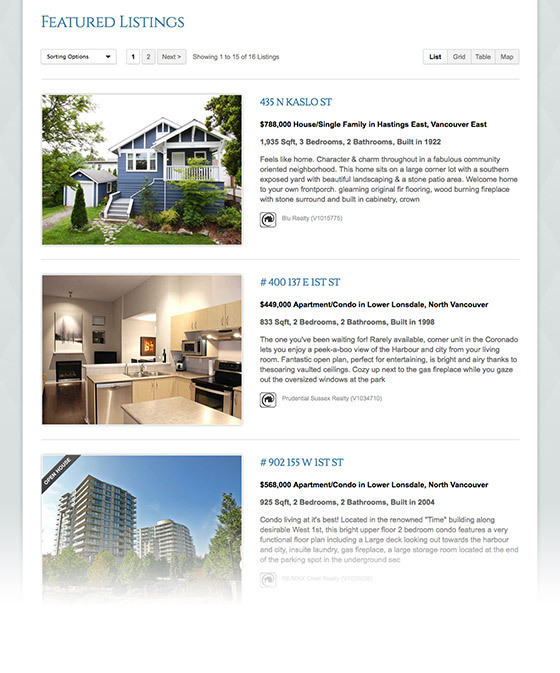 We launched a bunch of great new time-saving and lead-generating features, added Chelsea to our team to ensure our customers get the most out of their websites, expanded markets to Vancouver Island and Whistler, presented at local offices, re-made our own website, broke 2000 fans on Facebook, and most importantly added lots of great new customers to our roster. During this time our thoughts turn gratefully to those who have made our progress possible. Now… onto the good stuff! 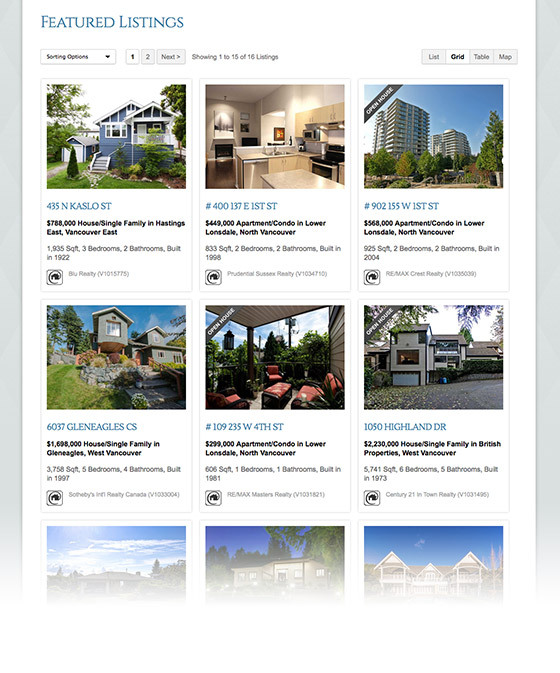 A few days ago we released hot new features on all RealtyNinja websites. All your listing pages (active, sold and custom groups), as well as all building pages, now have 2 new views to truly showcase listings in a beautiful way. Check it out on our demo site. Note: Try holding your mouse over photos for an automated slideshow. Note: This view is automatically set for all sold listing pages. You can change which view your pages use by default by clicking “Manage pages > Page Options” and choosing either “List, Grid, Table or Map” from the “Default Result View” dropdown. Let us know if you need help with this. Customer support will be limited from Monday, December 23rd through Wednesday, January 1st. We will be back in action on January 2nd, 2014. We have insanely high hopes for 2014. Not only will we continue to strive for the best features and service in the industry, but we intend to keep growing as a company and as individuals. We’re looking to revamp our mobile offering, release some beautiful new themes, bring added flexibility and tools to our website platform to keep our customers ahead of the curve. That’s just the tip of the iceberg and we can’t wait to see what else is in store. From all of us at RealtyNinja, have a wonderful Christmas and a happy new year!